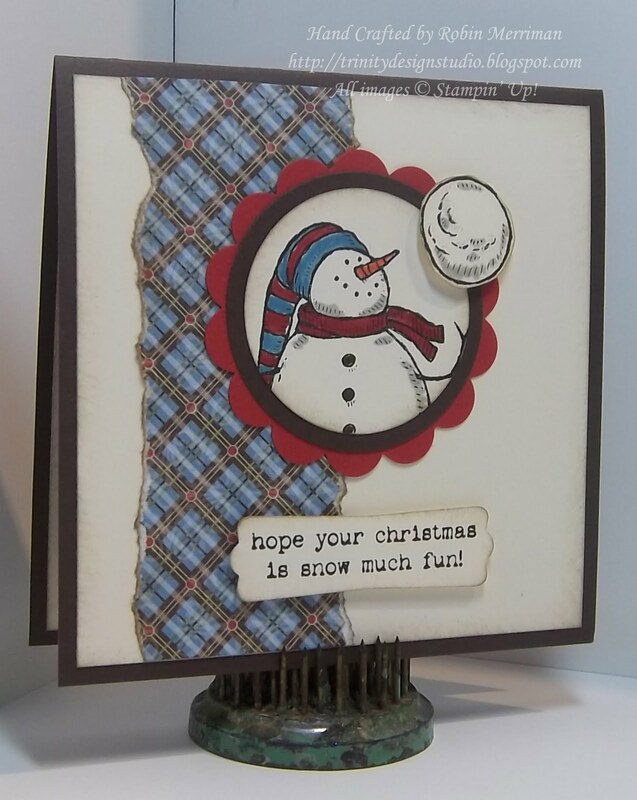 Trinity Designs: Snow Much Fun! Did you miss me yesterday? I can't believe I forgot to post! This week has been very full - I'm doing lots of catch up and work in the studio, plus school starts for Emma next week and of course, we have all the last minute things to take care of for that. The saddest thing is that I haven't had any time to stamp this week! I KNOW!! But at least I have cards to share with you from my Christmas in August class last Saturday. Now, ya'll know that I'm not a cutesy stamper - it just doesn't come naturally to me. But my downline Cathy loaned me this new stamp set for the class and I was able to make it work with my style. It's really pretty simple. I started with a card base of Early Espresso, cut at 4 1/4" x 8 1/2" and folded to make a square card. You know I love those! The focal point was fun and easy! Pulling colors from the Designer Paper, I used a scrap of Riding Hood Red cardstock and punched it with my 2 3/8" Scallop Circle Punch. It's layered with an Early Espresso circle that I cut out with my Big Shot and the Circles #2 Die. The stamped layer is Very Vanilla. 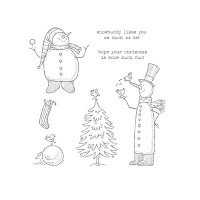 I stamped the little snowman with Basic Black ink, then punched him out with the 1 3/4" Circle Punch. I used Riding Hood Red, Marina Mist, Tangerine Tango, Early Espresso and Sahara Sand Stampin' Write Markers to color him in. 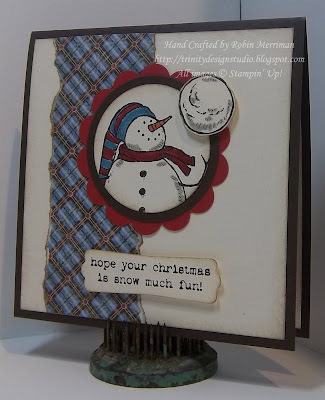 The little snowball accent was stamped on a scrap of Very Vanilla and cut out with Paper Snips. I colored it a bit with Sahara Sand, added some Dazzling Diamonds Glitter and popped it up on a Stampin' Dimensional. It almost looks like he's throwing it up in the air - cool, huh? 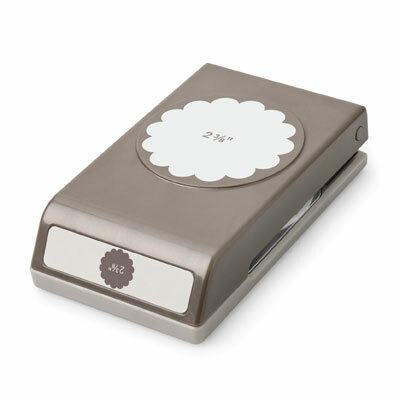 The greeting was stamped on more Very Vanilla scrap, then punched out with the Modern Label Punch. I sponged it and popped it up with more dimensionals. 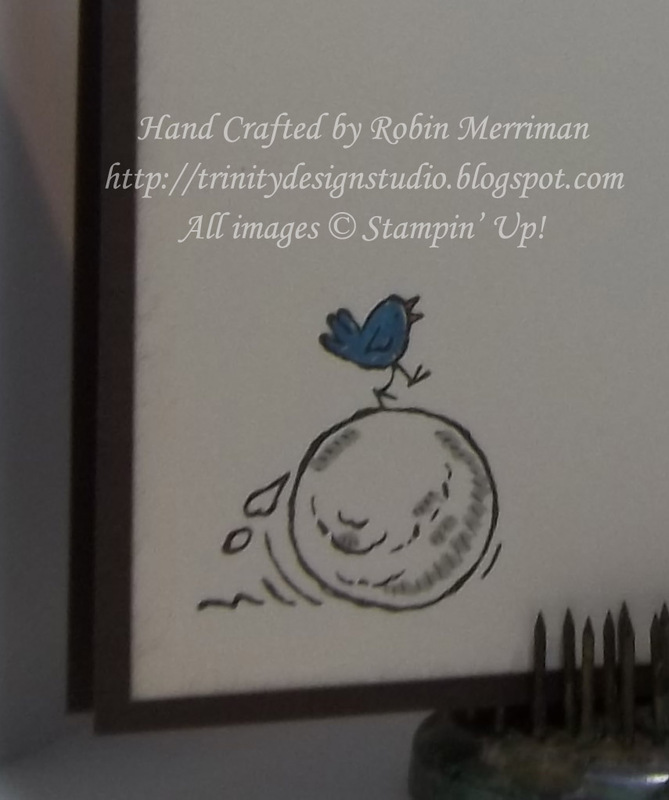 I had to stamp that cute little bird working so hard to roll that snowball! It's colored with markers as well, but otherwise, that's it! As always, you can purchase any of these products and all of your Stampin' Up! 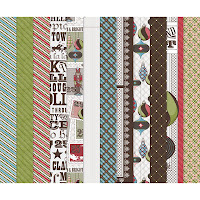 supplies from my Online Stampin' Store anytime, 24/7. Thanks for visiting today! Hope you liked the peek ahead into the holiday season! 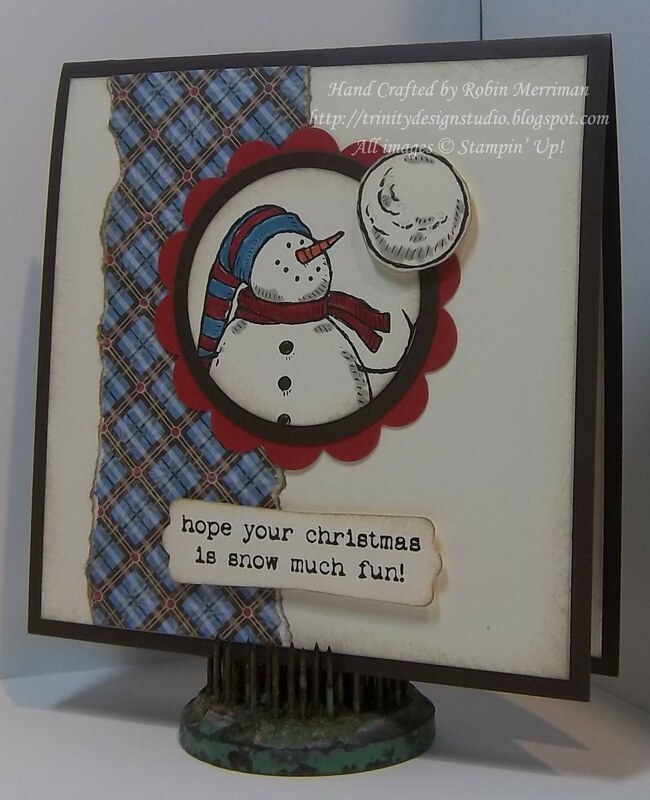 I'll be back tomorrow with the next edition of Simply Stampin' Up! - don't miss it! Simply click the SHOP NOW button at the top right! 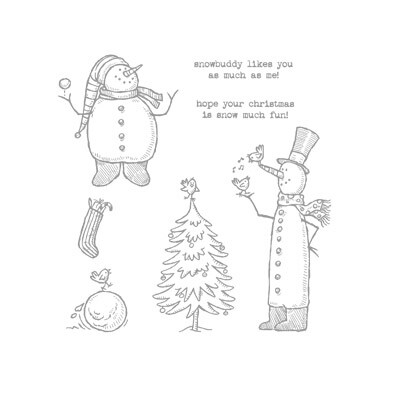 Peace on Earth - Christmas is Coming! Headed for the 'Open Sea'! A CASE of Cute Cherries! Happy Birthday to Our Super Hero! 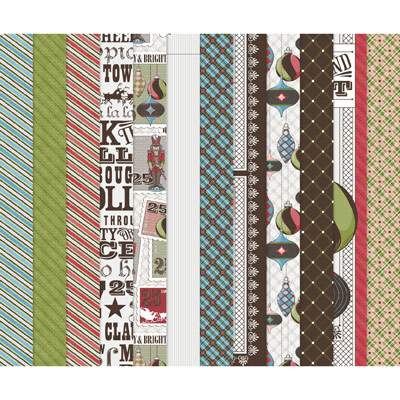 Fantastic Deal on Designer Series Paper!